Excellent investment opportunity for this centrally located 4680 sq ft medical & office commercial building for sale for $750,000 or $160/sf. 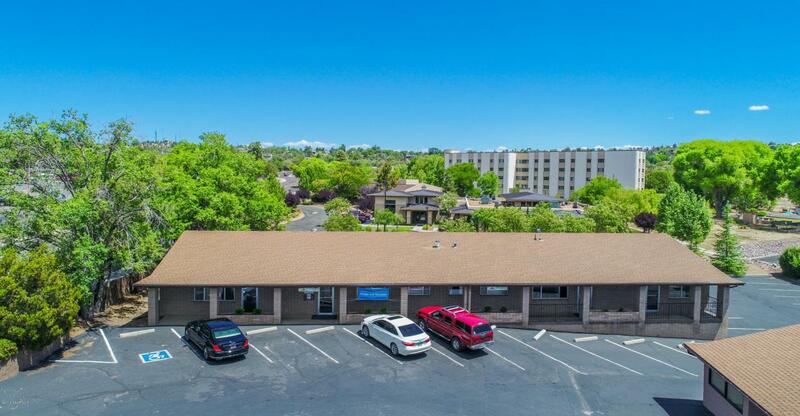 Located directly across the street from Prescott High School and very close to Prescott's Yavapai Regional Medical Center West Campus, this building contains three units that could be divided into four units. There are currently three leases within two of the units with one unit currently available. Current occupants include medical and wellness professionals. Current owner would like to maintain a long term lease to maintain dental office. Office building includes 28 dedicated parking spaces. The adjacent office building is also for sale (see MLS#1006826) for a great opportunity.